"I solemnly swear by God, that my account about the encounter with extraterrestrials on 10 May, 1978, is absolutely true." An earlier version of this article was originally published in Fate Magazine www.fatemag.com, and is reprinted here with their consent. 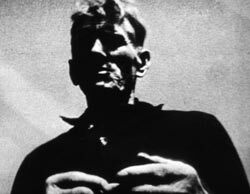 The abduction of 71-year old Jan Wolski in the small farming community of Emilcin in eastern Poland on May 10, 1978, was the first UFO abduction ever reported in Poland and it was followed by a flap in which similar small humanoids wearing black uniforms like divers’ suits were reported. Skeptics would perhaps dismiss the Wolski affair as a fantasy because the main witness was an old farmer of humble origins and the second merely a six-year old boy. 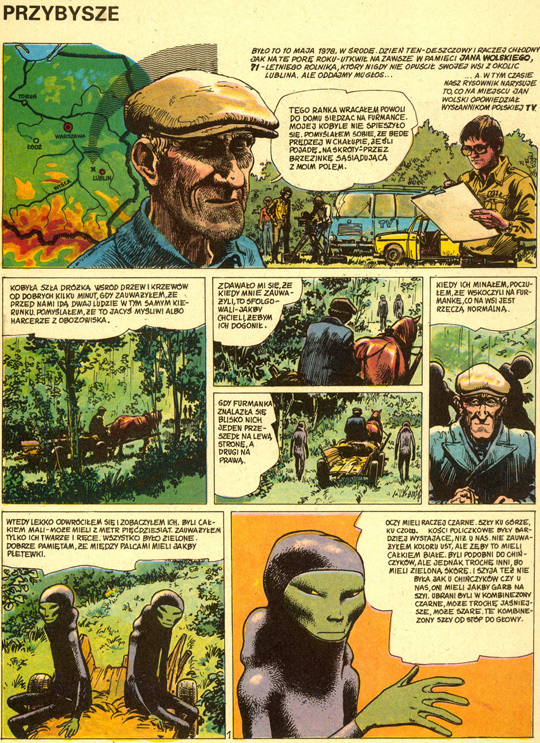 They could also point to odd details like the green skin of the humanoids’ face and hands and the almost primitive description of the UFO, compared by Wolski to a “bus” with a platform that seemed made out of wood. Yet the Wolski case is much more than a fantasy. On the contrary, it provides a useful benchmark to study an abduction report with very little, if any, social contamination from the outside world; that is, with none of the trendy media exposure that characterizes contemporary American abduction research. 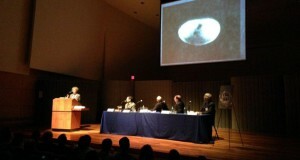 Polish ufology was just emerging as an independent entity when the Emilcin encounter occurred in 1978, yet it seemed ready for the challenge. Poland was the first country in the then communist world to develop a civilian ufological movement with organizations, conferences and bulletins which was both legal and independent of the state. In Wolski’s case, a team of psychologists, sociologists and doctors from the University of Lodz thoroughly tested the witness, checked his background and cross-examined carefully his account. The scientists became convinced that Wolski was indeed telling the truth and that something unexplained had occurred in Emilcin. I first heard of Wolski in the early 1980s when Colman von Keviczky of ICUFON showed me a six-page typed letter in poor English with enclosed photos and illustrations, devoted mostly to this case, by Warsaw ufologist Michael Groszkoewicz. I kept track of a few brief articles from American and international journals which described the incident but did not provide a first-hand account of the investigation. Even a comic book on Wolski was published in Poland in 1982, which you can see at the end of this article. I finally acquired two comprehensive reports which remedied this situation. The first was a selection of various scientific reports, letters and transcripts of interviews by one of the principal investigators, sociologist Zbigniew Blania Bolnar, included in Prof. Felix Zigel’s UFO Landings in the USSR and Other Countries, Vol. 5 in a series, recently translated from Russian by Dimitri Ossipov and released by Dr. Richard Haines’ Joint USA-CIS Aerial Anomaly Federation. 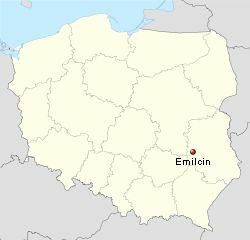 Emilcin is a small agricultural hamlet of some 70 farms in the province of Lublin in eastern Poland, not far from the borders with Belarus and the Ukraine. 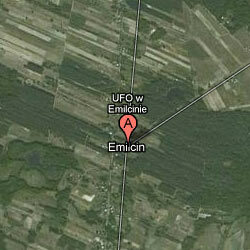 According to the WCPE-UFO report, at the time of the incident Emilcin had “no school, no club, not even a newsagent, and only one single shop!” Born on May 29, 1907, Wolski never left his native Poland with the exception of a visit to the Ukraine prior to World War II. Moreover, Wolski had no TV set, not even a radio, and only read newspapers when his sons brought them home. As a young man, Wolski had read the Bible and history books but, as noted by Dr. Bolnar, Wolski had essentially no free time because “he is the head of the family and, despite his age, most of the chores related to farming depend on him. “I solemnly swear by God, that my account about the encounter with extraterrestrials on 10 May, 1978, is absolutely true. God is my witness that I am telling the truth.” That was the oath signed by Wolski, a devout Roman Catholic, in the presence of two witnesses; it convinced the almost 100 year-old local priest that Wolski was really telling the truth. Bolnar reports that “it was discovered later” that “the witness did not know what the word ‘extraterrestrial’ meant.” Likewise, he did not give any religious significance to his experience, being merely puzzled by the fact that the beings–just foreigners, perhaps oriental due to their slanted eyes–had green skin. “There is no doubt that the witness is deeply convinced that all what he has experienced was an objective reality,” wrote Bolnar. 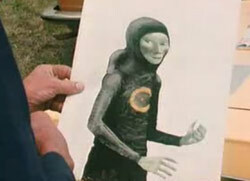 Artist's rendition of the green-faced humanoids encountered by Wolski (image credit: Nautilus Foundation). The farmer did not feel threatened by the beings at any moment. “They did not address me, they talked among themselves, but who could understand such a language?” Wolski told Bolnar, imitating something like ‘ta-ta-ta-ta’ without interruption. The wagon continued with all three for a short while until reaching a clearing where a strange contraption hovered close to the ground. It could be described as a rectangular vehicle with a slightly curved roof. 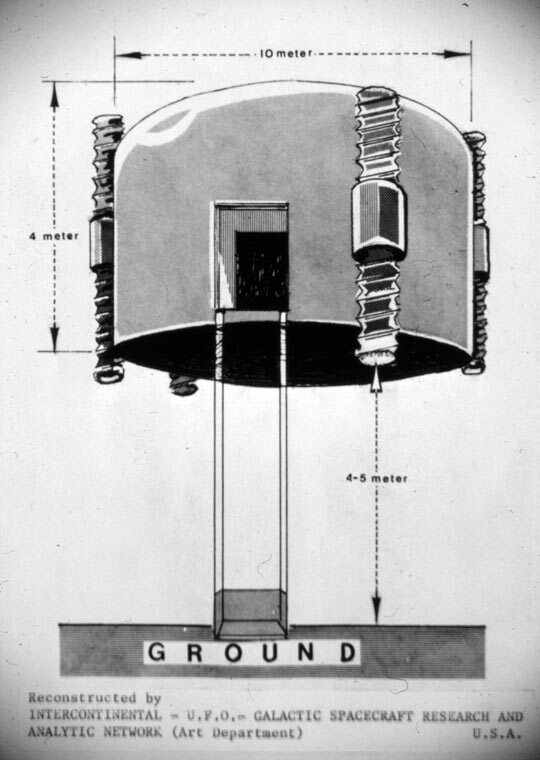 In Wolski’s terms, not a UFO or a spaceship but “a bus hovering in the air” some 3 or 4 meters “above ground, lower than the top of birches. 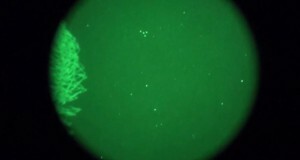 It was located near a dense wall of trees in a secluded corner of the clearing, indicating that it was well concealed from outside observers,” said Wolski. The shape of the creature's footwear estimated by the footprints (image credit: ICUFON archives). 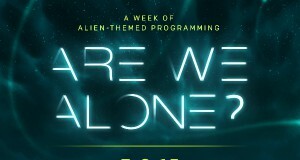 Wolski was told–again by gestures since at no time did he experience telepathic communication with the beings–to get dressed after the examination and “they motioned me that I can go. I went to the door, but I felt uncomfortable just to leave. I had my hat on, so at the door I took it off and said ‘Good bye’ (here he makes a deep bow–Bolnar). They also bowed and smiled.” Wolski stepped once again “on that little platform and zoom! Down I was. They stood at the door and looked at me, I climbed on the carriage, whipped the horse, but it was afraid of the bus.” The horse turned away from the machine and began galloping home, a journey that took about ten minutes. Only his wife was there when Wolski arrived around 8 a.m. His sons returned a little later and, informed of what had transpired, rushed to the clearing where they found several traces that appeared to have been made by strange footwear. As it had rained recently and there was plenty of mud in the dirt road and clearing, Wolski’s two sons and four other neighbors “verified the presence of these footprints.” One investigator described them as “trapezoidal, almost rectangular, in shape” and “very slightly longer than a human foot of a normal current size.” Unfortunately, no casts or photographs of the prints were made. By the time the first investigators arrived to Emilcin two weeks later, the prints were gone and only drawings based on eyewitness testimony could be made. This monument was built in the area of the sighting to memorialize Wolski's experience. Bolnar’s report in Prof. Zigel’s book is over 30 typed single space pages. The “Psychological and sociological evaluation of Jan Wolski” includes sections on “Motifs from a viewpoint of a lie hypothesis” (none according to the report), his Emotions, Memory, Mental development, Susceptibility to suggestion, Fantasy ability, Inclination to lie, the Witness as a member of a social group, the Witness and the mass-media, Leisure, Interests, Vices, Religion, and finally an “Evaluation of the witness from the point of view of results of his experience.” The scientists found that Wolski was a remarkably credible witness. For instance, wrote Bolnar, “results of the thematic perception test fully indicates that the witness has no ability whatsoever to invent stories of any kind. His mental creativity is not apparent. He is unable to tell a fictitious tale, even a simple one.” Likewise, extensive questioning and background checks revealed that “the witness is an honest, truthful, decent person, and this was confirmed in cross-examinations.” He was highly regarded within his community and was not known to drink alcohol, smoke or exhibit any other social vice. More recently, the Polish ufologist Piotr Cielebias posted the transcript of an interview with Wolski, who passed away in 1990. The interview was conducted by Henryk Pomorski in July 1978, only two months after the incident. 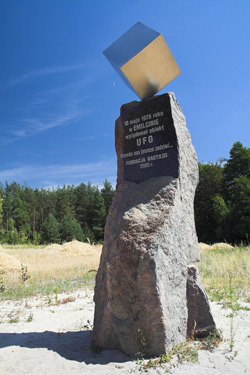 In 2005, the Warsaw-based UFO organization Nautilus Foundation erected a monument commemorating the Wolski case, which shows a metal cube balanced on top of a rock, thus becoming the first alien abduction anywhere in the world to have its own memorial. 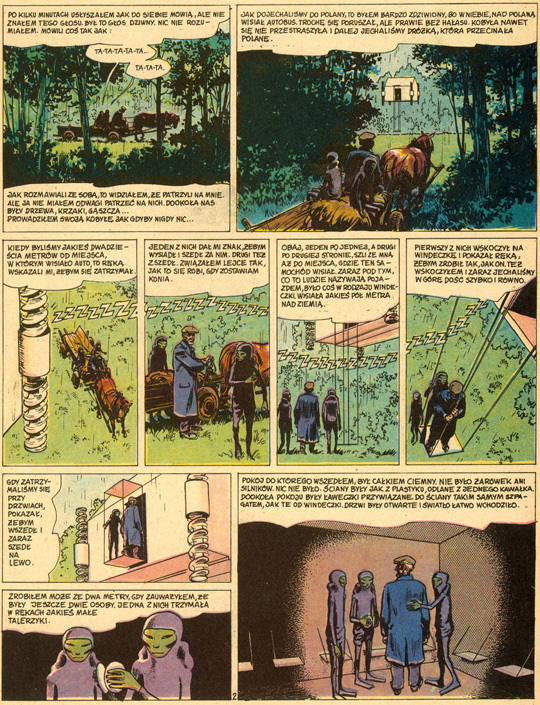 Page 1 of a comic strip made of the event. Click the image to see a larger version. Page 2 of a comic strip made of the event. Click the image to see a larger version. Closer to a truh story is hard to come. After reading many stories,and looks many pictures,I believe in ufo.But dont be afraid by ufo.They are not fierce as some of human race.They not eat what we takes every days.not use oil or any energies that we use.So they will not maka war with us.We,human, will fight and kill each other to control economic source.Eliens will not do this.Their life are different from us.Nothing they can take on this earth.They had their own source to live.Something different from us.they just come to see and made some research.They are nit from this earth.They built spaceships.If they live here,they will not built spaceships.I think they come from another solar system,not from another galaxies.Galaxies stay too far from another.I think there are creatures on another galaxies.But they cant reach us.No timetunnel.The key was their ship speed over light speed.In our holy book Quran (I am muslim),said “we(god-Allah)created universe and we scattered cretures on its”.Scattered mean,there are creature on many of planets and galaxies,not only on this earth.So I beleieve in ufo,our holy book not deny its.In another verse,quran says “You cant go to the heaven (universe) except with sultan”.T think,Sultan mean energies,power and knowledge”.Our prophet Muhammad pbuh said there are creatures on one of far planet,all of believe in Allah(God).Some of companion ask him (they have any religion or something else-i forgot its) and the prophet said,They know not that and angel and human existed.But this creatures no ufo.I think Ufo eliens was not the creature that told by prophet.Ufo knew us,human.They use to visit us from ancient times,when we only walk on our foots.ufo, exciting creature,great mysteries created by our god.God know best,we now nothing. What sane person agrees to take all their clothes off for a group of ‘people’ they had only just met? Not a believable story I’m afraid. The description of the inside of this craft sounds very paranormal. How can you have a flying vessel with nothing to control it on the inside?